Last week, Apple announced refreshes to several of its products—in its iMac, iPad and AirPods categories—with a focus on improving performance. The moves suggest that Apple is continuing to bring renewed focus to its non-iPhone hardware, with the launches this week following a strong lineup of refreshes across iPad and Mac last year. What follows are the key things to know about Apple's four newest products. 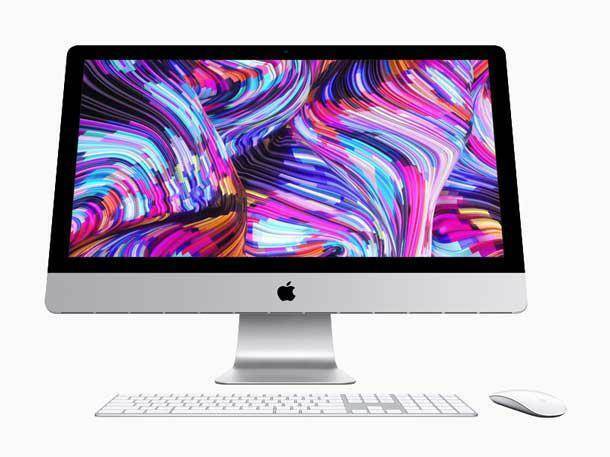 Apple's focus for the iMac refresh is around performance, with the 27-inch iMac now available with ninth-generation Intel processors, featuring six or eight cores. The 21.5-inch iMac is now offered with eighth-gen Intel processors, offering four or six cores. Both models of the all-in-one are offered with AMD Radeon Pro or Radeon Pro Vega graphics. For RAM, the 21.5-inch iMac offers up to 32 GB and the 27-inch model features up to 64 GB. Other highlights include an optional 4K Retina display on the 21.5-inch model (the base model is FHD), while the 27-inch iMac comes with a 5K (5120 x 2880 resolution) Retina display. The new 21.5-inch iMac with FHD starts at $1699, and with 4K starts at $1999. The new 27-inch iMac starts at $2799. With the refresh to the iPad Air, key updates from Apple include the addition of support for the Apple Pencil stylus (sold separately). The iPad Air gets a 70-percent performance boost and "twice the graphics capability" from the inclusion of the A12 Bionic processor, according to Apple. The tablet features a 10.5-inch Retina display—which is 20 percent larger than in the past—with 2224 x 1668 resolution and up to 500 nits of brightness. And, staying true to its "air" branding, the tablet weighs just a pound and measures just a quarter of an inch thick. 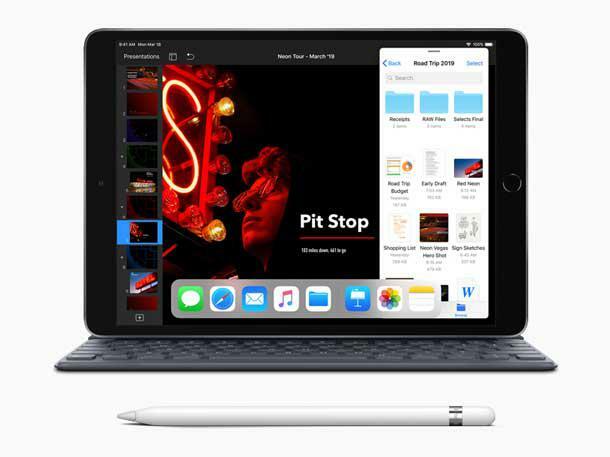 Along with supporting the Apple Pencil, the new iPad Air works with Apple's Smart Keyboard, as well, and promises up to 10 hours worth of battery life per charge. The new iPad Air is available for a starting price of $779. Apple also refreshed its most compact-sized version of the iPad, the 7.9-inch iPad Mini. 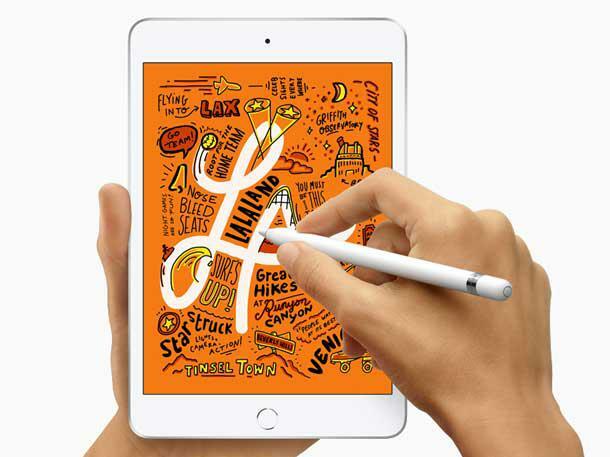 Like the iPad Air, the new iPad Mini offers improved performance from the A12 Bionic chip and support for the Apple Pencil stylus. The display offers 2048 x 1536 resolution—providing the "highest pixel density of any iPad," Apple said—and is 25 percent brighter than in the past, with brightness of 500 nits. The new iPad Mini also measures just a quarter of an inch thick, and weighs two-thirds of a pound. On battery life, the tablet promises up to 10 hours on a charge. The new iPad Mini is available for a starting price of $599. Apple's update to the AirPods—a set of wireless earbuds that can be controlled by voice—does not change the form factor, instead opting for internal improvements. Those include the inclusion of the H1 chip, which Apple says it designed with headphones in mind. The chip provides more-efficient performance, faster connections and up to 50-percent longer talk time, according to Apple. AirPods can also now be controlled with the wake word, "Hey Siri." 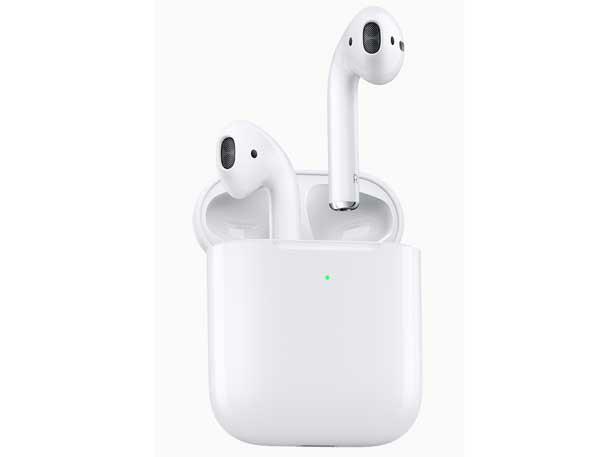 Additionally, the AirPods are offered with a new wireless charging case that allows for charging up the device on a Qi charging pad. AirPods with standard charging case are available for $249, while AirPods with the wireless charging case are available for $319.